Finally it is here – the monthly update routine is here again. 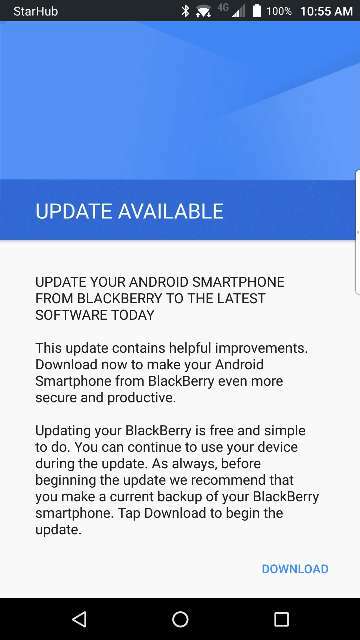 The September Android security update for BlackBerry Android smartphones is now out and once downloaded and installed, you should see your security patch level change. This time’s update will patch the device to September 5, 2017, or later. The update seems to have rolled out BlackBerry Priv… And finally, the DTEK series! DTEK series just got updated, however, only to the August patch (AAN548) though. For those one DTEK and Priv, unfortunately, this is really just a routine security update and not the major update to Nougat yet, that we are all waiting for! This month’s update patches over 50 security vulnerabilities so be sure to grab the update the moment you receive it! You can manually check for the update by going to the device settings -> about phone -> system updates and hit ‘check for updates’!